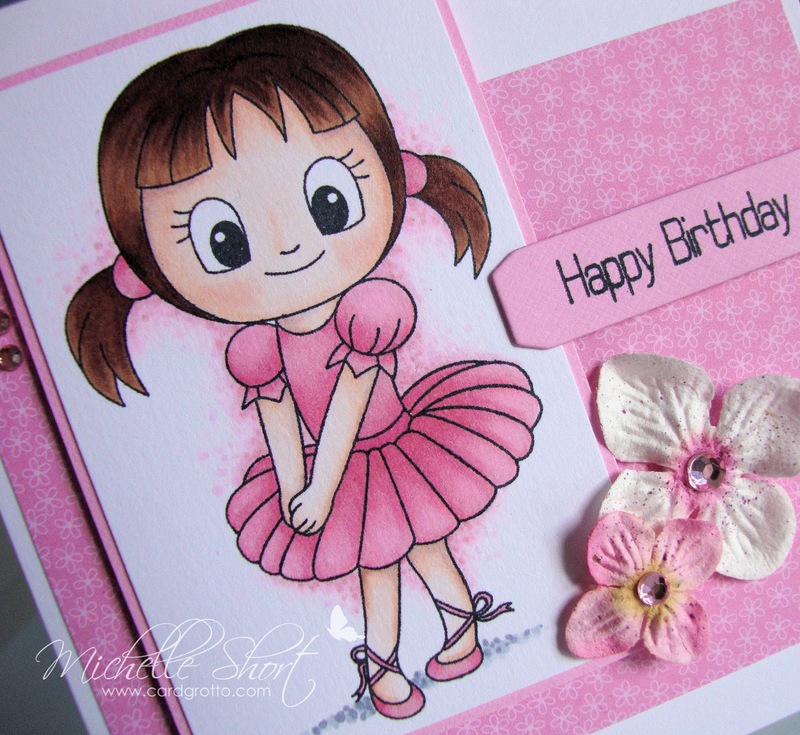 How cute is Ballerina Jasmine from Cleary Besotted Stamps?! 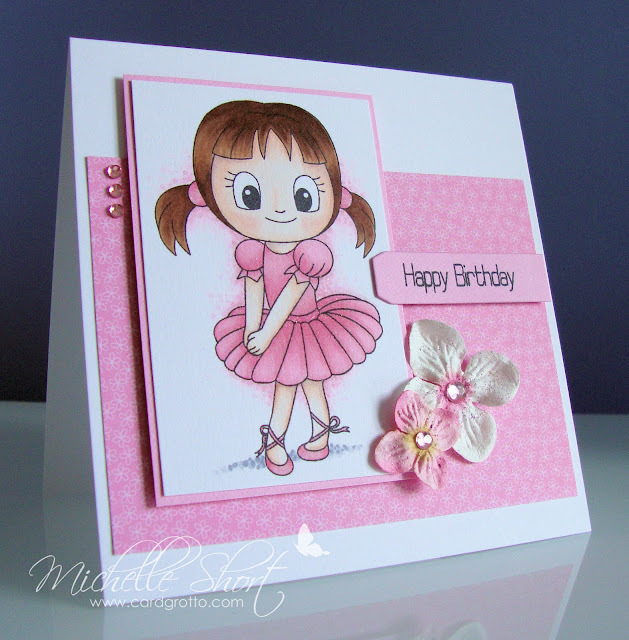 I thought I would make a girly card today and loved colouring her in. COPICS USED: Skin: E0000, E000, E00, E11, R01, R093. Hair: E21, E23, E35, E27, E29. Dress: RV10, RV11, RV32, RV34. Shadow: RV000, RV00, RV10, RV11, RV52/C1, C3, C5. Thank you so much for visiting me today, I hope you are well. 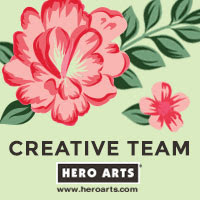 My friend Julia is having a sale of lots of her craft stuff and is selling it HERE on ebay. She is selling loads of her Elzybells stamps which you can't get hold of now but I know are still popular. 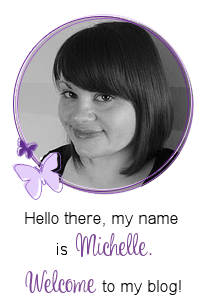 So pretty Michelle, haven't had a chance to ink this one up yet but you've inspired me!! Hi, very pretty card, lovely colours. Really like the dotty outline around the image. 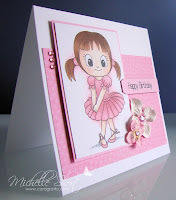 Gorgeous card Michelle, Jasmine looks very pretty in pink!